This hood is Flat Hood with square shape mask which comes with shoulder protection and spiral front Zipper. 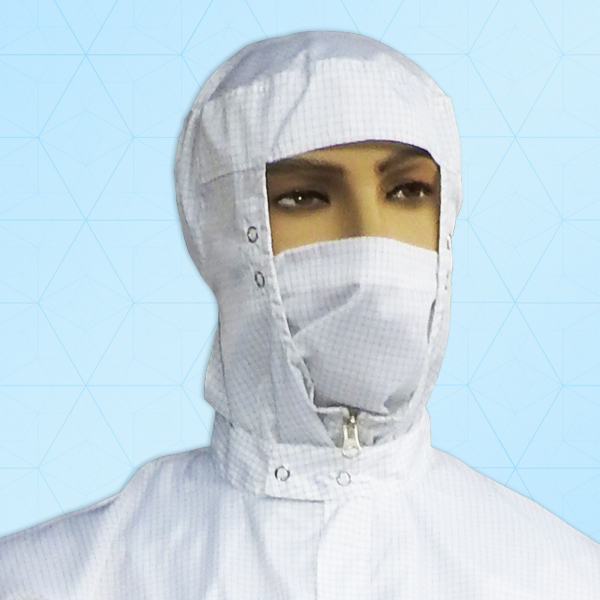 It have press Studs to attach facemask to the hood .The size available is universal and is made of 100% polyester. This hood is complaint to ISO class 4/5/6/7 & are available in different colors.